While advances in modern medical treatments and technologies are impressive, there are situations in which patients either cannot or will not pursue efforts to cure a life-limiting illness, disease, or condition. This article explains what hospice care is, the services it generally provides, and how to determine if seeking hospice care is appropriate for you or a loved one. Hospice is a specialized form of medical care that seeks to provide comfort and maintain a patient's quality of life (to the greatest extent possible) for those facing a life-limiting illness, disease or terminal condition. Hospice care generally focuses on the overall or holistic well being of a patient by addressing not only his or her physical condition but also any emotional, social and even spiritual/religious needs as death approaches. In addition, hospice care can provide support, resources, and information to a patient's family and loved ones during this difficult time—particularly to a family member providing caregiving to the patient—as well as assistance after a hospice patient's death occurs. It's important to understand that while hospice care does not seek a cure to a patient's life-limiting illness, disease or condition, hospice also does not hasten death or "help someone die." The overall mission of hospice care usually affirms life and considers death part of a natural process in order to help patients spend the remainder of their lives as fully and comfortably as possible. Hospice care is typically provided in the patient's home but some patients might receive temporary inpatient care at a hospice facility. In addition, hospice care does not provide 24-hour, "round the clock" nursing care, so family members, hired caregivers or nursing home staff might provide caregiving services. In contrast to traditional palliative care, hospice care is appropriate when there is a life expectancy of six months or less. When curative treatments no longer work and/or a patient no longer desires to continue them, then hospice becomes the preferred form of care. Palliative care, on the other hand, can be given at any time during the course of an illness and in conjunction with curative and/or other aggressive treatments. Nursing services: A hospice patient is assigned a case-manager nurse, who typically visits one to three days a week. Hospice patients and their caregivers can also access an on-call nurse 24 hours per day. Physician participation: A hospice patient's regular physician often provides care, in cooperation with a hospice medical director. Medical social services: Patients are assigned a social worker to assist them with their emotional and/or social needs. Counseling services: Hospice patients and/or their loved ones might need dietary services, as appropriate; pastoral or spiritual support; and bereavement counseling for family and caregivers after the patient's death. 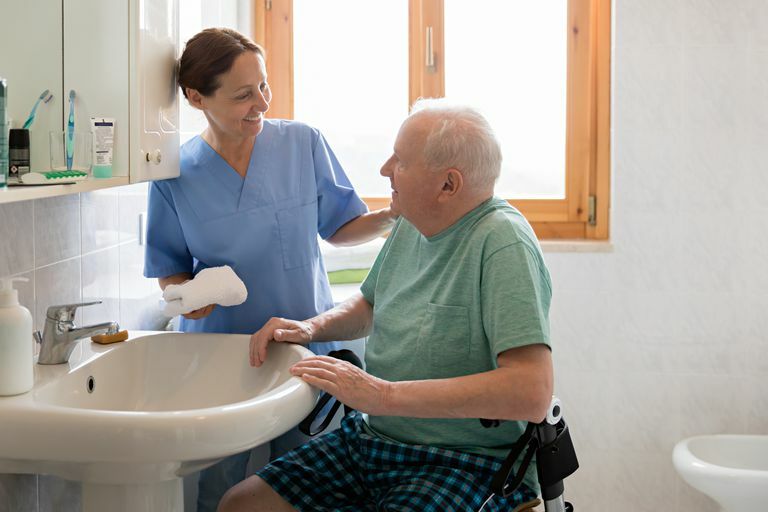 Home-health aide: These aides can help patients with their personal care and typically visit two to three times per week. Medication: Hospice typically covers all medications related to the hospice diagnosis and those intended to control or alleviate pain and symptoms. Medical equipment: Hospice provides the equipment necessary to provide a safe, comfortable, caring environment in the patient's home. These supplies might include, for example, a hospital bed, a wheelchair, and oxygen, as well as adult diapers, bandages, and latex gloves. Respite care: This form of temporary, short-term assistance can help alleviate or avoid caregiver burnout and stress. Therapists: If appropriate, hospice might provide a physical, occupational and/or speech-language therapist. Additional assistance: Some individual hospice agencies might also provide additional services through volunteer and/or charity programs. Is Hospice Right for You or a Loved One? Hospice care is generally appropriate for a terminally ill patient with a life expectancy of approximately six months or less. While such diagnoses are merely estimates (i.e., some patients die sooner and some live much longer), it is generally accepted that the sooner a patient can access hospice services, the greater the benefit he or she will receive from hospice care. A patient is generally ready for hospice when he or she decides to pursue treatments meant only to promote/provide comfort rather than seek a cure for his or her illness, disease or condition. These hospice treatments might include medications to alleviate pain, nausea, shortness of breath (dyspnea), loss of appetite, muscle cramps, itching, hiccups, and other symptoms. More-aggressive treatments, such as blood transfusions, chemotherapy and/or radiation, might also be appropriate while under hospice care when the goal is to alleviate a patient's pain and discomfort but not to cure his or her disease. Does Choosing Hospice Care Mean Giving Up Hope?